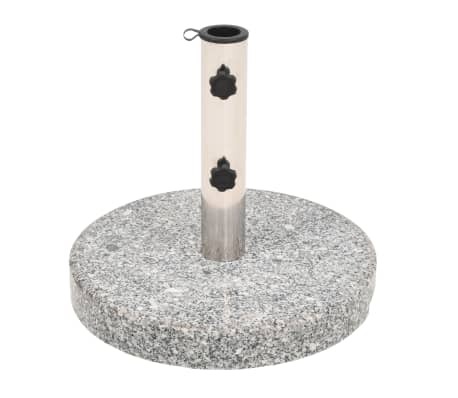 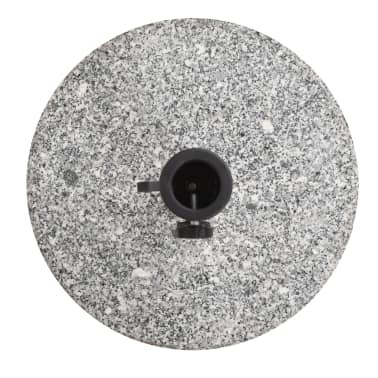 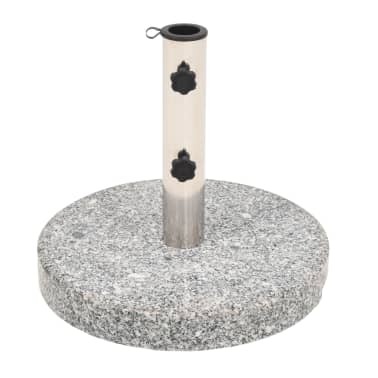 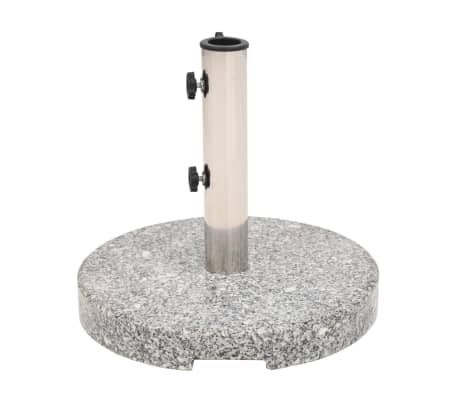 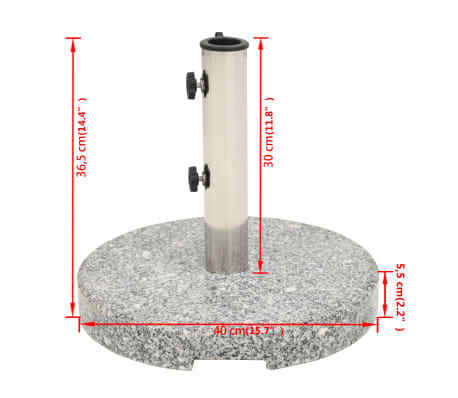 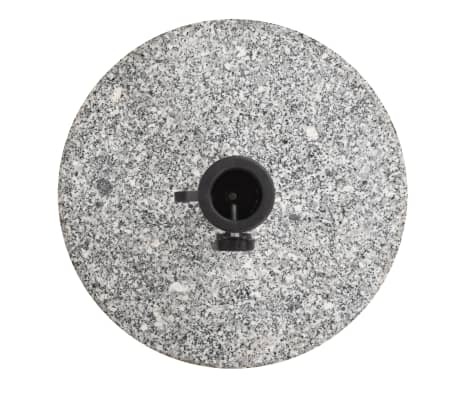 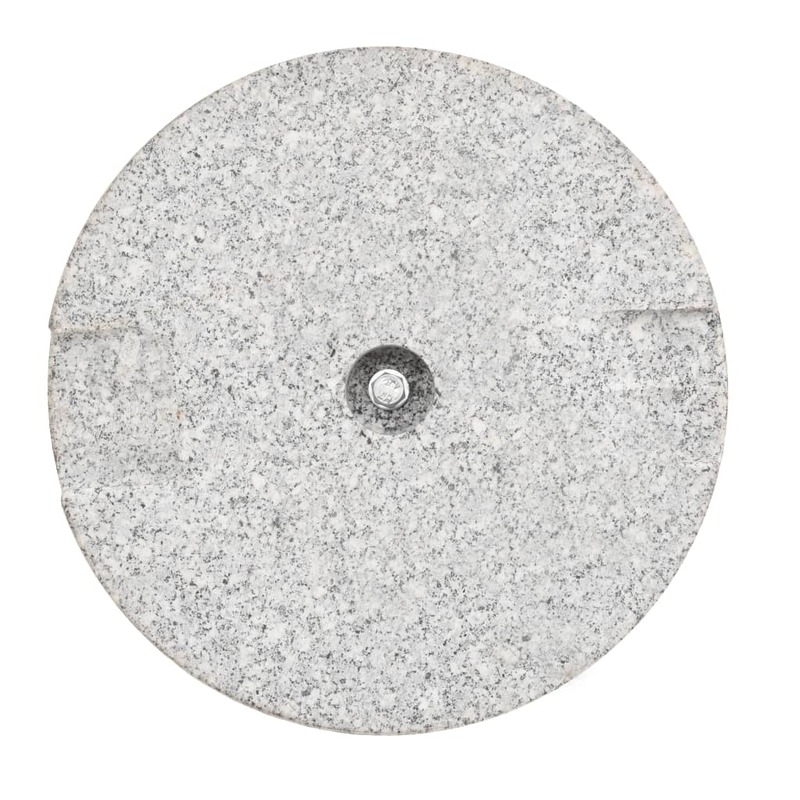 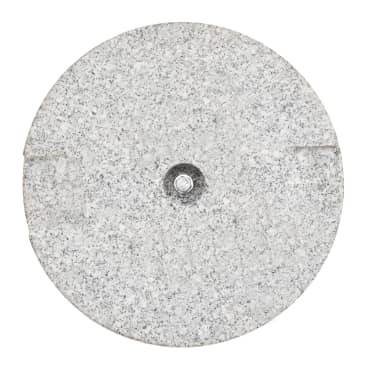 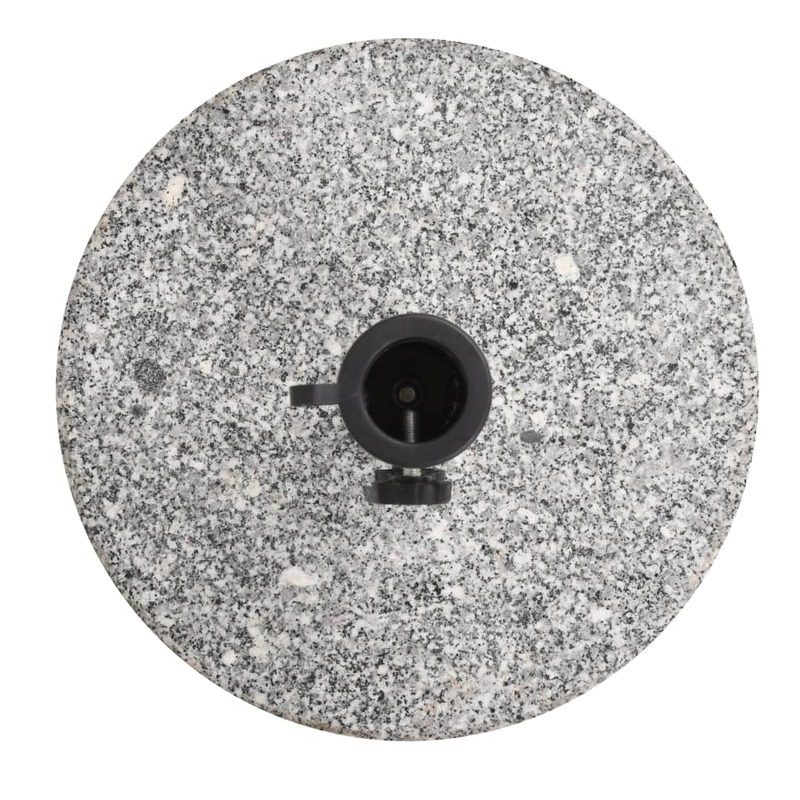 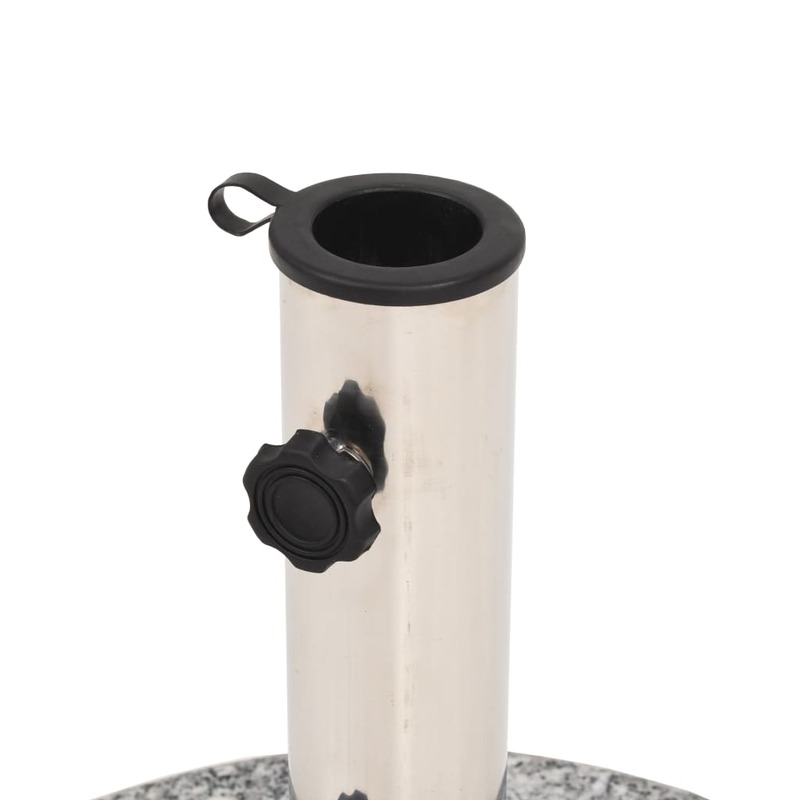 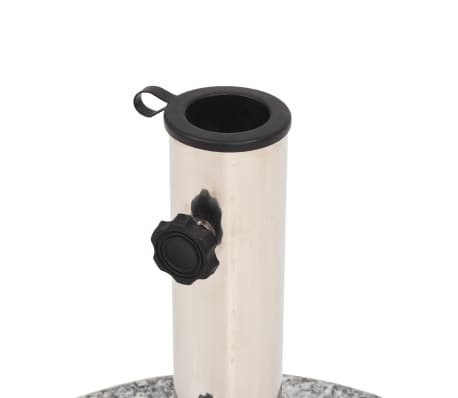 This solid granite parasol holder provides a firm and sturdy base for holding your parasol and keeping it from tipping over or being blown away. 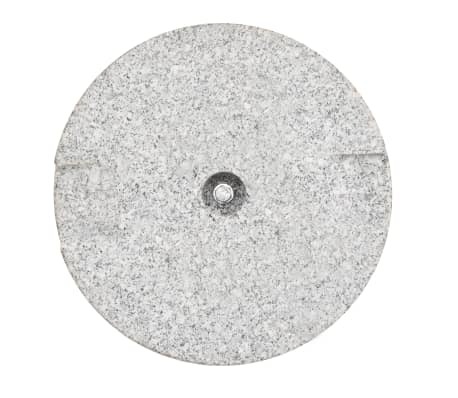 The umbrella base has a durable granite construction that is very stable thanks to its hefty weight. 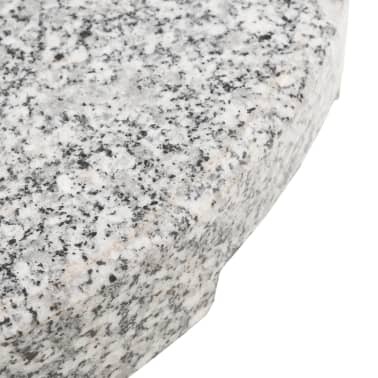 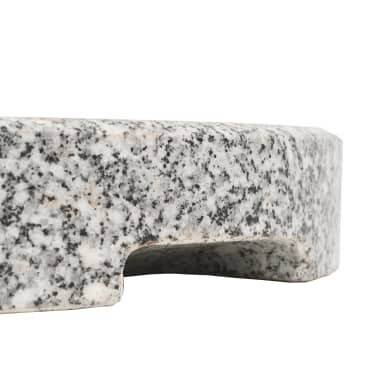 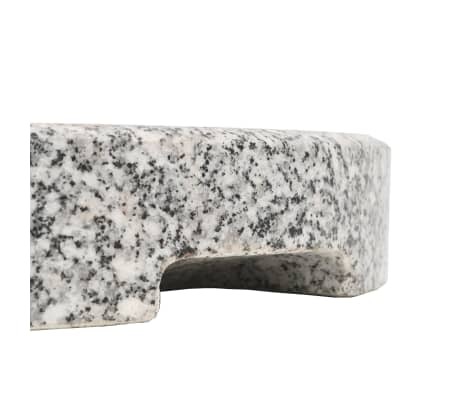 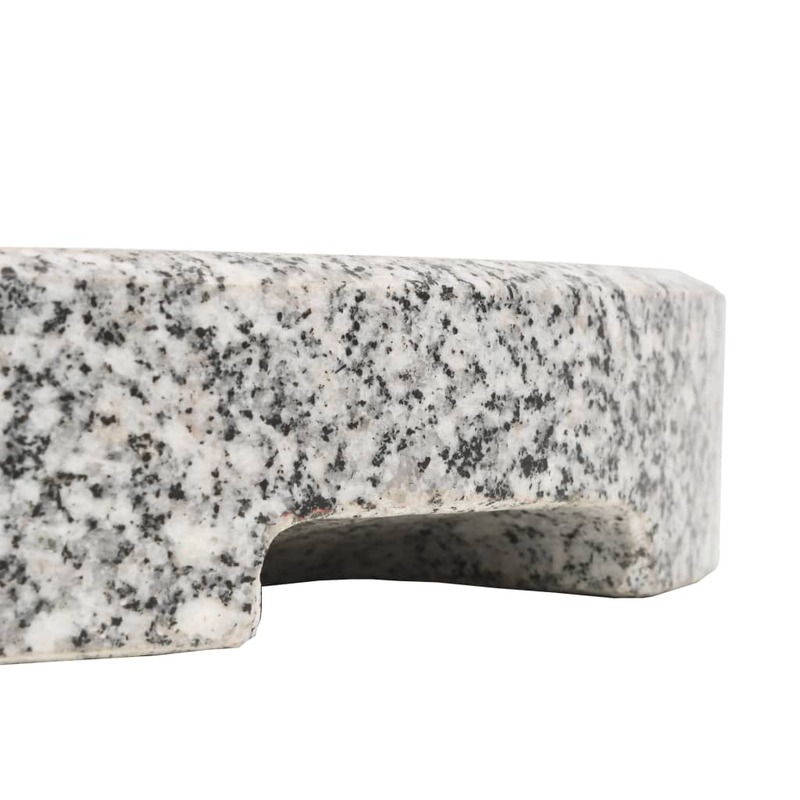 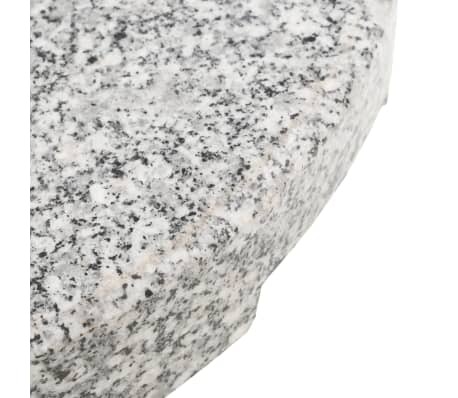 The granite also has a high-end look and feel that gives the umbrella base a sophisticated appearance that will add a touch of elegance to your outdoor living space and complement your luxurious garden furniture. 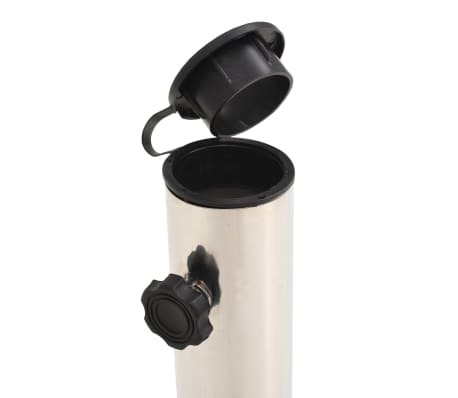 The tube is made of stainless steel. 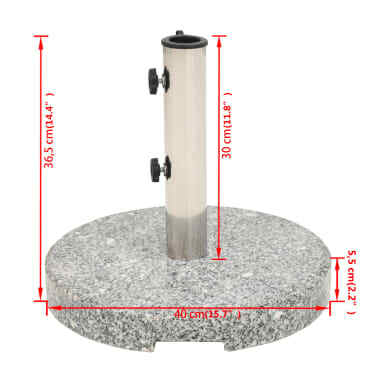 The included 2 adapters suit parasol poles with a diameter of 1.5"/1.89". It's very easy to mount your parasol to the base, and keep the parasol fastened tight and straight.